The second generation Ryzen processors has been available for some quite time and the new Zen+ architecture had improvements refined gaming and multiprocessing performance and a host of new features such as Precision Boost 2 and Extended Frequency Range 2 (XFR 2). 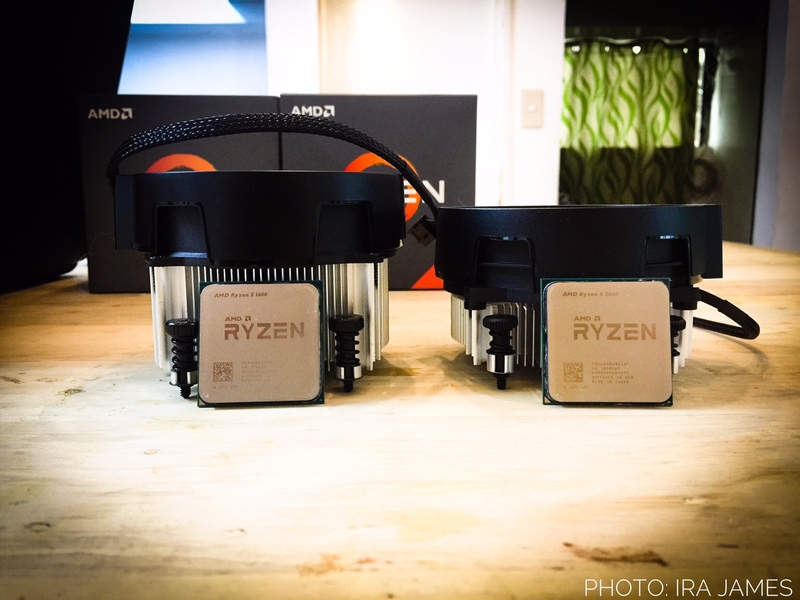 Here, we have the Ryzen 5 2600 and we’ll put it up head to head against the first generation Ryzen 5 1600. Just like it’s predecessor, the Ryzen 5 2600 is a 6-core/12-thread CPU but only with higher base clock of 3.4GHz and a boost clock of 3.9GHz. It also has the same amount of L1, L2, and L3 cache, and also same TDP (thermal design power) of 65w. The Ryzen 5 2600 uses a much refined 12nm CMOS die technology which allows it to have better thermal properties and allow it to have higher clock frequencies out of the box. 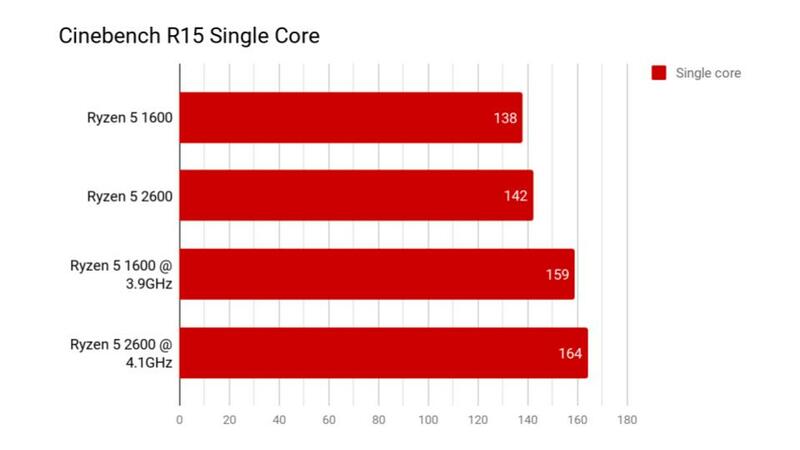 Unfortunately, AMD has decided to include the Wraith Stealth cooler with the Ryzen 5 2600, which is a much smaller 65w TDP cooler than the 95w TDP Wraith Spire which was included with the previous generation Ryzen 5 1600. We think that the inclusion of a lower tier cooler is a downside since the thermal limitation of the Wraith Stealth cooler will prevent the processor to fully utilize Precision boost 2 and XFR2 for higher boost clocks. But for most PC enthusiasts, we’d expect users to get an aftermarket cooling solution for better overclocking headroom. The Ryzen 5 2600 has a higher clock speed than the Ryzen 5 1600 out of the box and we were able to push it up to a stable 4.1GHz with 1.425v on the CPU core voltage using the latest version of the Ryzen Master Software. The Ryzen 5 1600 on the other hand can only go up to 3.9GHz on 1.45v on the CPU core voltage. 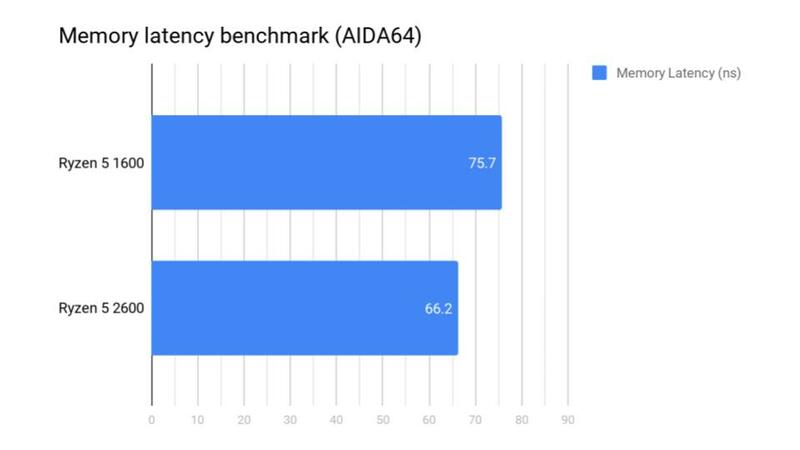 For the benchmarks, we will do a series of tests with different applications to see what has improved with the Ryzen 5 2600. 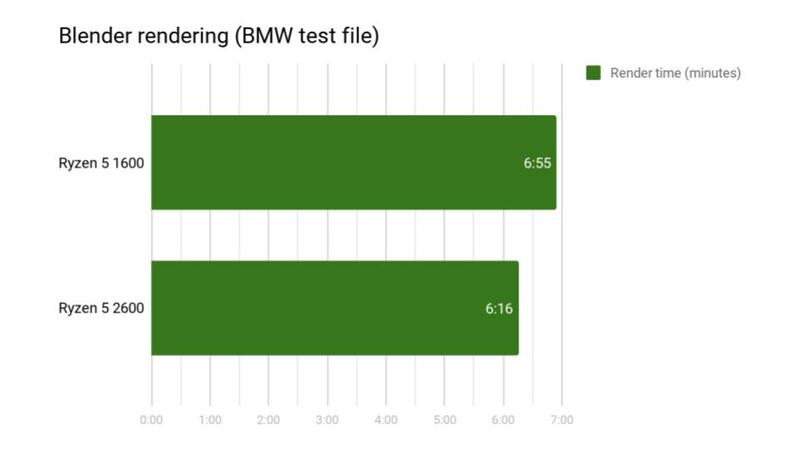 First results shown are the results with Cinebench R15 on both single core and multi-core test runs. and when both are overclocked to their maximum stable clock speeds, there is a 3% difference between both processors. The difference between a stock Ryzen 5 1600 between the Ryzen 5 2600 at 4.2GHz is around 18%. but there is a 20% difference between a stock Ryzen 5 1600 and the Ryzen 5 2600 at 4.2GHz. 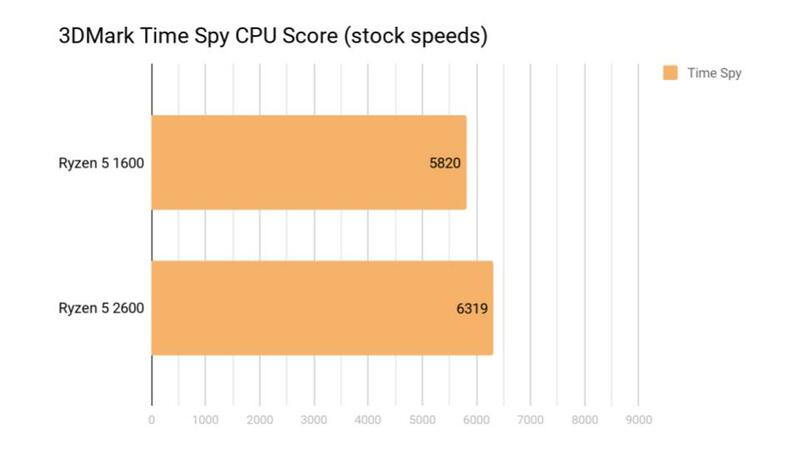 Next we used 3DMark’s Time Spy and Fire Strike benchmarks and there is a significant difference in CPU scores between both processors. 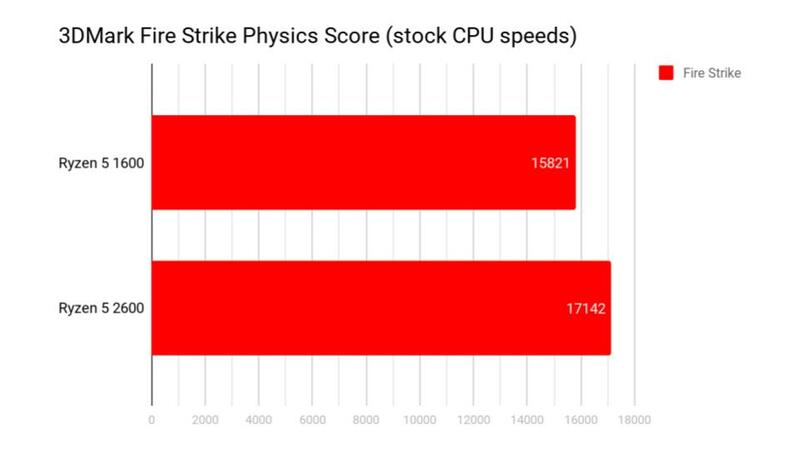 Both CPU scores show that there is at least an 8% difference in performance between the two processors. Now let’s take a look at the memory latency between the two processors. This is an important factor because Ryzen processors gain a significant performance increase and efficiency with better memory latency which mainly results in snappier CPU performance thanks to the interaction of the CPU Complex (CCX) with DDR4 memory that leads to faster Infinity Fabric and hence faster communication between each CPU cores and the L3 cache. 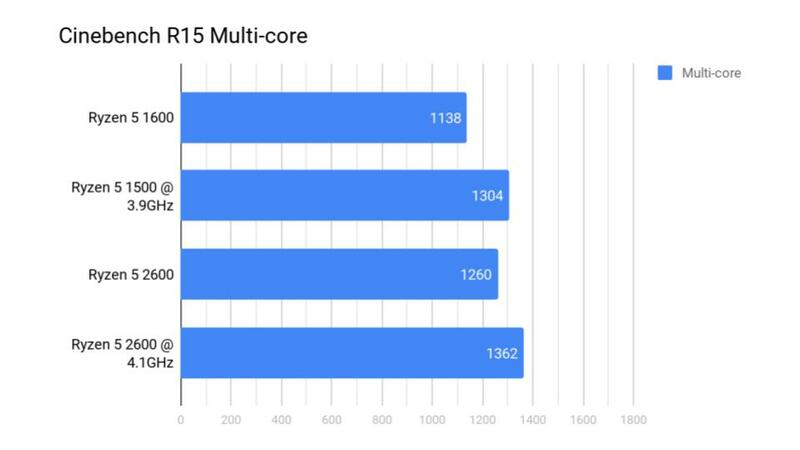 In real world scenarios like rendering and gaming, users might not notice a significant increase in performance just as shown in the charts below but this doesn’t mean that the Ryzen 5 2600 doesn’t have it’s value. The second generation Ryzen 5 2600 has definitely addressed the issues that the first generation had. First is AMD has improved memory compatibility allowing users to use higher frequency DDR4 memory kits with no fuss. Last year, there was a lot of instability with memory that was addressed with consistent BIOS updates from motherboard manufacturers later on. But now we were able to utilize up to 3600Mhz of memory with the Ryzen 5 2600 without any problems and without flashing a single new bios on both X470 motherboards that we have on hand. 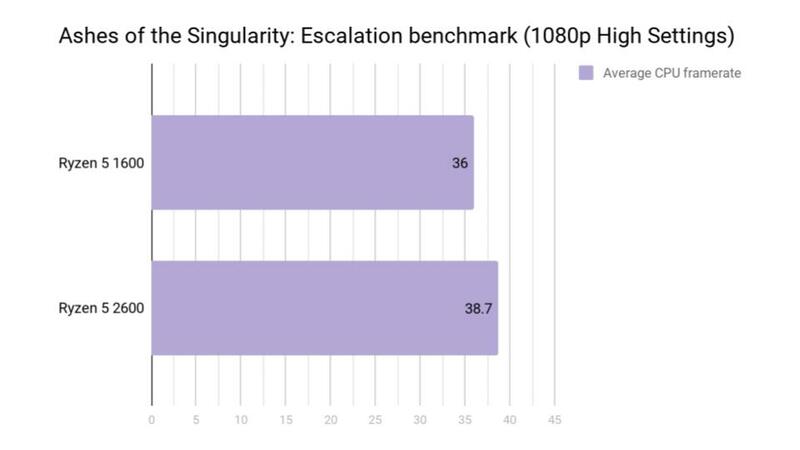 With lower memory latency and cache latency, we see benefits with a much more smoother performance in gaming and creative workloads. One of the CPU intensive tasks that we do often is gaming while doing multiple live streams on Twitch and Facebook using XSplit broadcaster. The CPU utilization while running a 720p60fps is much smoother compared to using the Ryzen 5 1600 and there is no compromise in graphical quality. We’ll give more information about this in a later review. So far, our first impressions with the Ryzen 5 2600 is pretty good though there may not be significant improvements in gaming performance in terms of frames per second, we can say that the Zen+ system is much more snappier and more responsive than the earlier rendition of the Zen architecture.